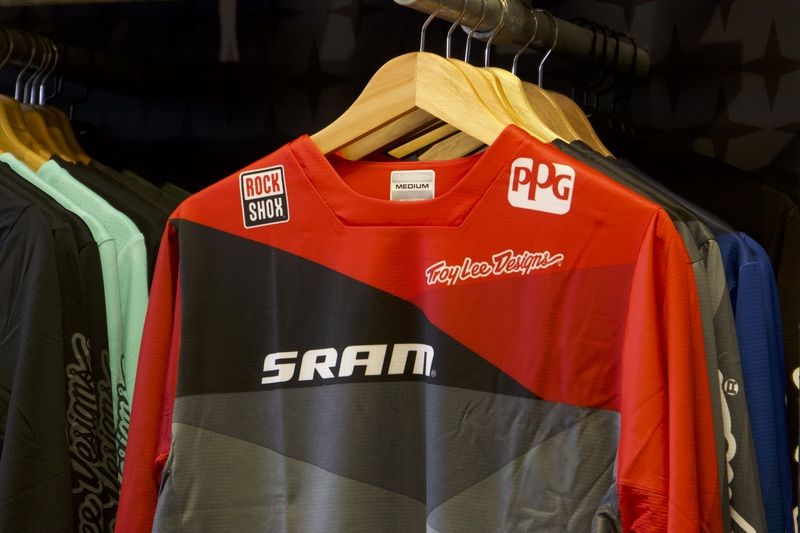 The Troy Lee Designs Sprint Jersey is a ventilated race jersey. Troy Lee uses a 100% Polyester fabric which is a soft breathable fabric making for superior ventilation and comfort. They have targeted ventilation and stretch panels located in the prime areas for better great ventilation and mover-ability. Race inspired cut and fit with a drop tail rear for the perfect race jersey. Worn all year round by us here at D&D Cycles from enduro, downhill and even XC making it super versatile and including our whole downhill race team kitted out in the Troy Lee Designs Sprint clothing. The gravity rider needs a kit that is as versatile as the skills required to be competitive. Whether you’re playing at the local bike park, attacking the downhill track, or mixing it up in the enduro scene, the Sprint kit has features you need and the price tag you’ll appreciate.